Studies have proven that keeping your staff hydrated will lead to a happier, healthier and more productive workplace. There are numerous health benefits to keeping your employees hydrated. 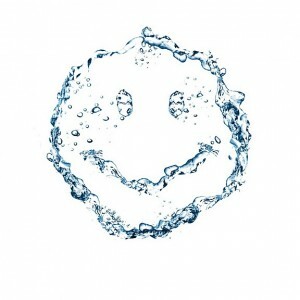 Water boosts the immune system and so can minimise the number of sick days that employees take. Dehydration has long and short term side effects for your employees. The short term effects include headaches, tiredness and inability to concentrate. This will in turn have a negative effect on productivity in the work place. Dehydration can also lead to long term illness such as kidney failure. Staying hydrated will also aid digestion. Giving your employees access to fresh water will ensure that your workforce remain healthy. Not drinking enough water can affect your employee’s mind-set and also behaviour. Dehydration can cause negativity and irritable behaviour. As long as your employees are well hydrated they will be in a better mind set. Hydration leads to happier and more motivated employees. This will in turn make your office a more pleasant place to work. As can be seen from above, dehydration can lead to a lack of concentration. It can also lead to poor short term memory. This is will have detrimental effects on productivity in the work place. Ensure your employees stay well hydrated to avoid poor short term memory and improve concentration. The easiest way to keep your employees hydrated is to install a water cooler in your office. Keep your employees happy, productive and healthy with a unique, new generation water cooler from The Well Water.